Crestron Mercury transforms your meeting rooms into highly effective collaboration spaces by combining conferencing features in one easy to use, table top device. 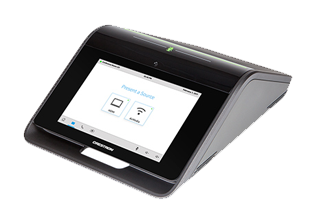 The Crestron Mercury enables people to work together and share content irrespective of location. Exceptional full-duplex audio and optional HD video afford a gratifying and productive meeting experience for all participants. Integrated room scheduling and corporate directory access help to maximize efficiency. Mercury is secure, easy to deploy, easy to manage, and protects your investment by providing room usage data as part of a complete managed enterprise. Want to check out more voice and video collaboration solutions? Use our advanced search to find the products and services that meet your needs.